Consume within 5 days after opening. Use a clean dry spoon and stir well before use. 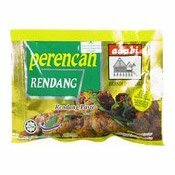 Close tightly and keep refrigerated after opening. 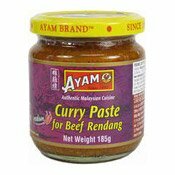 Ingredients: Water, Onion, Garlic, Palm Oil, Coconut Extract, Sugar, Galangal, Lemongrass, Chilli Powder, Salt, Spices, Coriander Powder, Modified Corn Starch, Ginger, Turmeric Powder, Flavour Enhancers (E631, E627). 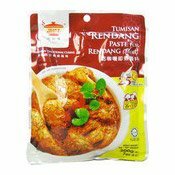 Simply enter your details below and we will send you an e-mail when “Rendang Paste (Malaysian Style Meat Stir Fry) (楊協成乾咖喱醬)” is back in stock!